Australia has brought several outstanding artists to the world over the last 20 years, particularly in drama and cinema, and the pattern keeps going into the late 00’s. You can mark this name boldly: Phoebe Plasto. 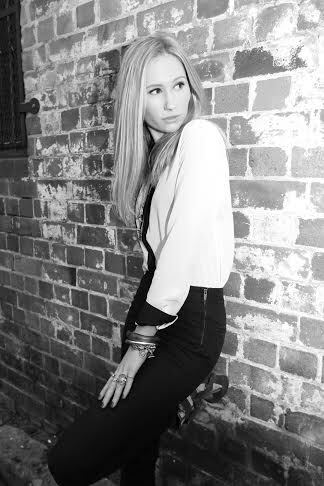 Born in Sydney, she’s currently establishing a career in Australia and also in the US. The young actress is beautifully carving her way from awarded and praised plays in theatre to the TV and cinema screens worldwide. Phoebe’s been passionate about performance from a young age and has even described herself as that ‘annoying kid’ putting on shows for her parents, friends or for ‘anyone who would watch really’. The annoying kid sure grew up to be taken seriously and has proven her passion is more than being a show off as Plasto has been working on several art fields through the years, getting skilled in all sorts of performance, from classical ballet, which she practiced for over 16 years, to gymnastics and horse riding. But Plasto never lost focus and always put acting first. Phoebe took time from school to study at Sydney’s National Institute of Dramatic Arts and as soon as she finished high school, she moved to New York City to study Drama at the prestigious New York Film Academy. When she returned to Australia, she got into the magic of theatre, often working with prized Playwright and Director Lisa Eismen. Plasto and Eismen have worked together in plays such as Blue Rock and Leave It At That (both plays were winners of the Judges Choice Award and People’s Choice Award), and Run Rabbit Run, a Verbatim Theatre play where Plasto performed a series of different roles. The play was widely prized in Sydney’s Theatre scene. The two also worked together on music video ‘Erotica’, for Giorgio Ciccone, originally written and performed by his cousin Madonna. Phoebe and Eismen are working together again, this time in cinema in Lisa’s next film. Theatre lead Phoebe to projects on screen and she started to work on several different film and television projects. In 2013 she could be seen in 4 different shorts, screening at multiple Film Festivals in Sydney and Europe, including the praised ‘Desense’ written and directed by Maria Fantis. During this time Phoebe also took to television, working on ABC’s ‘I, Psychopath’ and mini series ‘The Hidden’. The actress recently shone in the award winning ‘Great Expectations in the Office of Nostalgia’. Saying Phoebe is talented is an understatement and she’s just getting started. We can hardly wait to see more! ← Richard Stables keeping audiences glued to their seats!